What Jane didn’t know is how to use Galaxy S10 securer folder feature to hide her sensitive files. The phone comes with a securely encrypted space that can only be accessed using your set pin, password or fingerprint. You can use the folder to store some of your sensitive or important files. For example, photos, videos, documents, and apps that you don’t want unauthorized persons to access. Do you own a Samsung Galaxy S10 phone? Here are some tips set up and use a secure folder. How to set up a Secure Folder? How to add files and apps to Secure Folder? How to hide Secure Folder icon from app drawer? 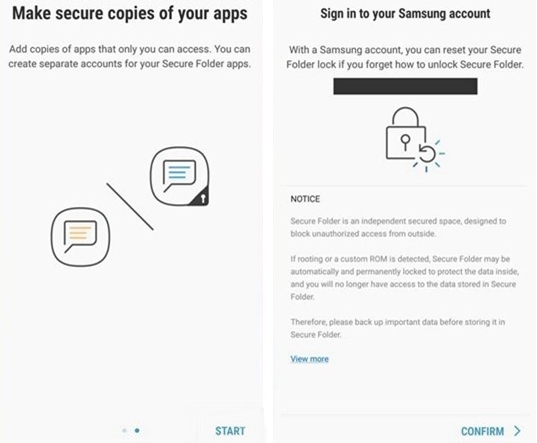 How do I create a secure folder on Samsung Galaxy S10? Well, it comes with a secure folder, and it’s pretty easy and only need to follow some few steps to launch it on your phone and save yourself from embarrassments and ridicules, even if your phone gets lost. • If you already have Samsung account, sign in but if not create one using your credential (name, email or phone number). Choose a password, fingerprints or pattern you will remember easily and use it to log in to the secure folder. The Samsung security feature makes it unnecessary to download applications from third-party sources that can damage your phone. Are you afraid of people accessing your photos and other files? Use the secure folder to hide them. • Select my files, both downloaded and saved documents, images, apps, videos, and audio tabs will appear. • If it’s saved on the secure folder, a confirmation message will appear on the screen. Depending on where the files and apps are found for example gallery, contacts or voice recorder, select the file, tab three vertical dots that appears after pressing on more options tab and the file will be moved to secure folder. 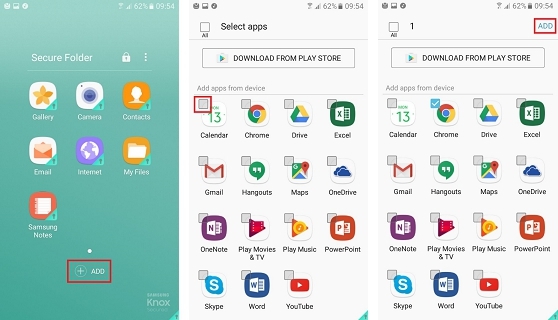 Sometimes you might need to hide the Samsung secure folder from your phones app drawer. 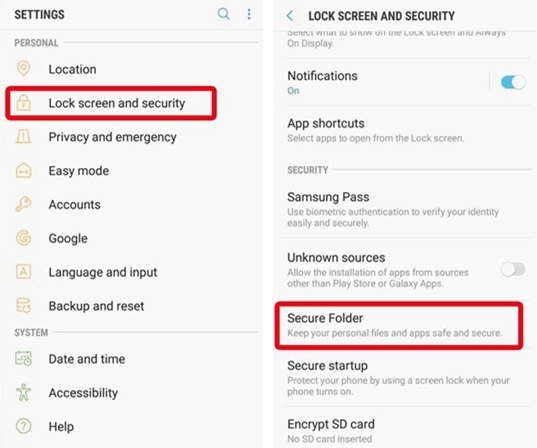 Samsung Galaxy S10 allows you easily to customize the secure folder if you want it to appear or not to appear on the apps drawer screen. • Select the secure folder to hide everything including the secure folder app from the screen. By hiding the secure folder icon even if children play with your device, they will not be able to launch apps or view your personal information that may taint your reputation. Moreover, if you want to show the files, it’s easy, select quick panel, tap on the secure folder then show. You can also customize its look if wish. You are now ready to view and retrieve some of the important or sensitive files. This means you can still use secure folder even if it’s hidden from the app drawer. Note: backup and restore is important and can prevent you from the stress of losing important work or office documents. It uses cloud storage and can be automated to save files as per your schedule for example after 24 hours. • Tap on restore now, and you will be good and secure again. Always keep in mind, apps not supported or have been removed after restore the data may not be restored. Restoring backed up data enables you to retrieve lost information that may be crucial to you or your business organization. When using note9 make sure, you back up your information to in case of any eventuality. 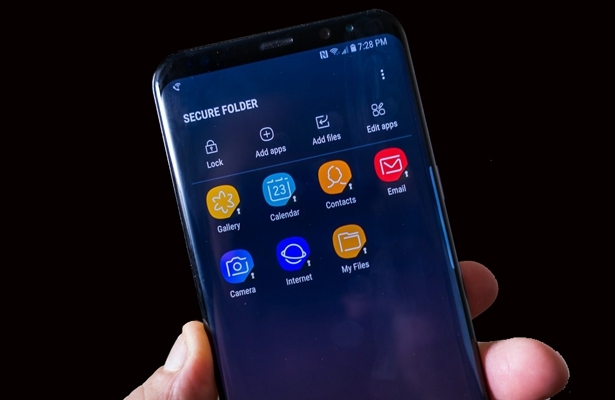 Samsung Galaxy S10 offer amazing features, but making use of the secure folder will save you greatly from stress or ridicules that may arise onwards, for example, it stops your private photos from leaking or ensures your office files are safe. With the above-detailed information on how to use, a secure folder will help you to create and use secure folder. Samsung Galaxy S10 phone cares about your privacy and safety of your documents. In case of any hitch or errors on your Samsung device always report to Samsung for support.